PUBG recently released its latest map, Vikendi, for mobile players of the game. Mobile players are typically at a disadvantage when going up against those on a mouse and keyboard, but these are the guns mobile users need to be using to give themselves the best shot at getting a chicken dinner. Marksmen rifles combine the power of a sniper rifle with the rate of fire of an assault rifle. The MK14 has relatively heavy recoil, but it has the range, damage, and firing rate to quickly eliminate enemies at range. 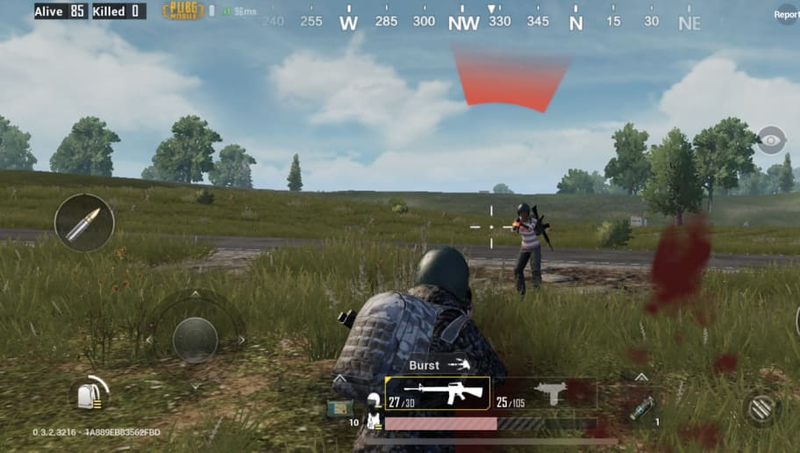 Although many players consider light machine guns to be poor weapons, the high firing rate and magazine size of these weapons are good for mobile players who have difficulty aiming their shots. The M249 is the best of these spray-and-pray guns, as it combines excellent range and low recoil. The AKM is a common assault rifle that delivers ridiculous amounts of damage with just a few rounds, though it does have a slow firing rate. If a player gets lucky with a crate, they may pickup the Groza, which combines the damage of the AKM with a very high firing rate. Although sniping is always a tough task, landing a skill shot with the AKM will almost certainly result in a kill. It deals the highest damage of any gun in the game. In addition, Unknown Cash, or UC, is an in-game unit of currency for PUBG Mobile. Players can use it to buy cosmetics but watch out for scams as there is no legitimate way to get UC for free.